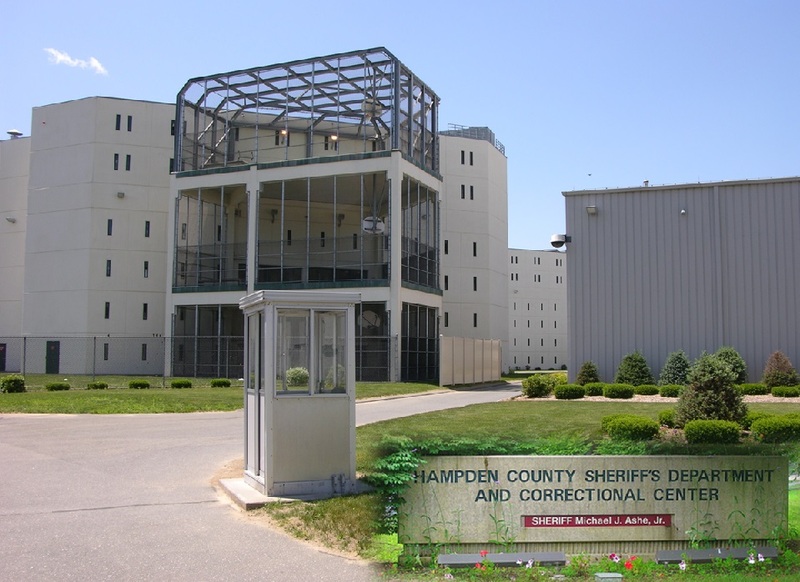 The Hampden Medium Security Facility, also known as the “Main Institution”, is located in Ludlow, Massachusetts. An average count is 900 male inmates. It is composed of seven buildings, three of which are housing towers for pretrial detainees and sentenced inmates. The facility is divided into 24 living units under a Unit Management/Direct Supervision mode of operation. Sentenced inmates are expected to maintain a 40 hour work week of participation in productive activities within the facility that include both job assignments and programs. All sentenced inmates go through a Basic Inmates’ Intensive Regimen, and continue with programs that address their deficits in substance abuse, education, employment, anger management, victim awareness, etc. The Sheriff’s philosophy is that re-entry into the community begins on day one of incarceration, and the intent of the medium security facility is to begin a continuum of return to the community as law-abiding, productive citizens.